We all want our children to grow up healthy and happy. This section contains some information about growth and includes ways to encourage children to take interest in the process of growing in general and their own growth in particular. The development of an organism: a plant from a seed to full maturity; a human being from an egg to an adult. What is the human growth cycle? Development starts with a tiny fertilized egg, which divides again and again. As time goes by, it begins to change shape (at this stage it is called an embryo). After five weeks the embryo is 12mm long. From the ninth week of pregnancy until the baby is born it is called a foetus. At birth, it becomes an infant. Before it is born, the baby receives nutrients from its mother. Inside the bone, there are cells working all the time – breaking down old bone tissue and replacing it with new tissue. In children, these cells work faster and as a result, the skeleton increases in size and strength. In adults, there is a balance between the amount of bone tissue broken down and that replaced, but after the age of 25-30, there is a gradual loss of bone that may result in osteoporosis. 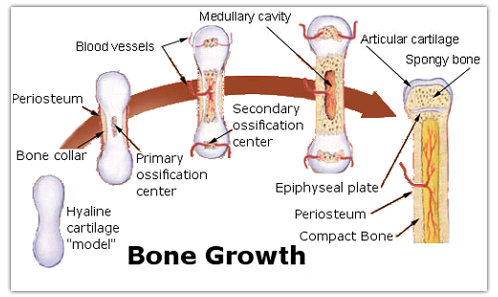 Bone growth is also under the control of hormones. These are substances that are released into the blood to regulate body functions. What determines how a child develops? Many different factors contribute to a child’s development. These include; genetics, parenting, experiences, friends, family relationships and school. What is the role of genetics? Child development involves a complex interaction of both nature and nurture. 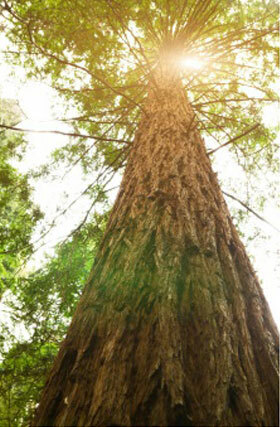 Height is a good example of a genetic trait that can be influenced by environmental factors. While a child’s genetic code may provide instructions for tallness, the expression of this height might be suppressed if the child has poor nutrition, inadequate exercise or a chronic illness. What will help your children to grow and remain strong? Good nutrition including adequate energy, protein and mineral intake is important for growing children and helps them achieve their growth potential. This website has growth charts for Australian children. It is suitable for older children.